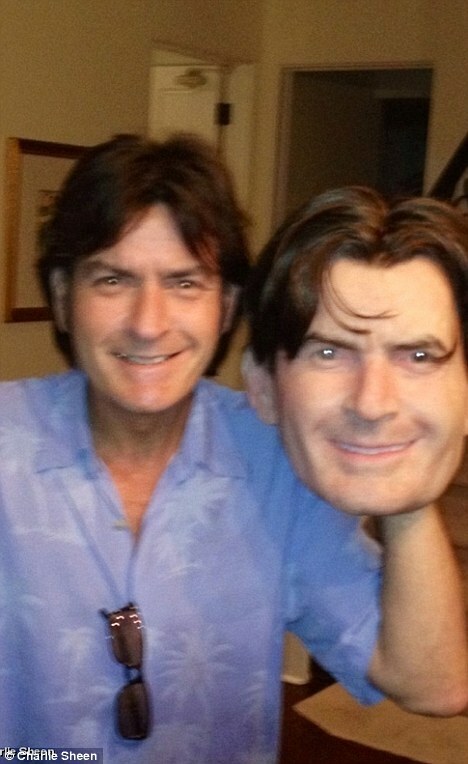 The former 'Two and a Half Men' star has bought a lifelike mask of himself, although his choice of 'disguise' has confused his young children, two-year-old twin sons Bob and Max with former wife Brooke Mueller and daughters Sam, seven, and six-year-old Lola, with Denise Richards. He tweeted: "#sheenius Trick or Treat Cadre! Got my Halloween costume... All set! (yeah... This really confused the kids!!) (sic)"
Charlie's family fun this Halloween is in stark contrast to the same time last year when his father Martin Sheen was planning an intervention after the actor destroyed a hotel room at the New York Plaza with a prostitute after an alcohol and cocaine-fuelled party. Martin - who is a former alcoholic himself – spoke of his desire to get Charlie away from the "hangers on" who surrounded him in order for him to start dealing with his problems. He said: "You have to separate him from that environment, from the people that he's around." Charlie is not the only celebrity who is already planning their Halloween costume, Heidi Klum – who together with her husband Seal throws a costume party on the holiday every year – has already selected her fancy dress outfit, but would only say "It's going to be a little bit hairy."